Every lane is fenced off and you can only throw when the lane is completely empty. There is always a throwing coach present who keeps an eye on everything. 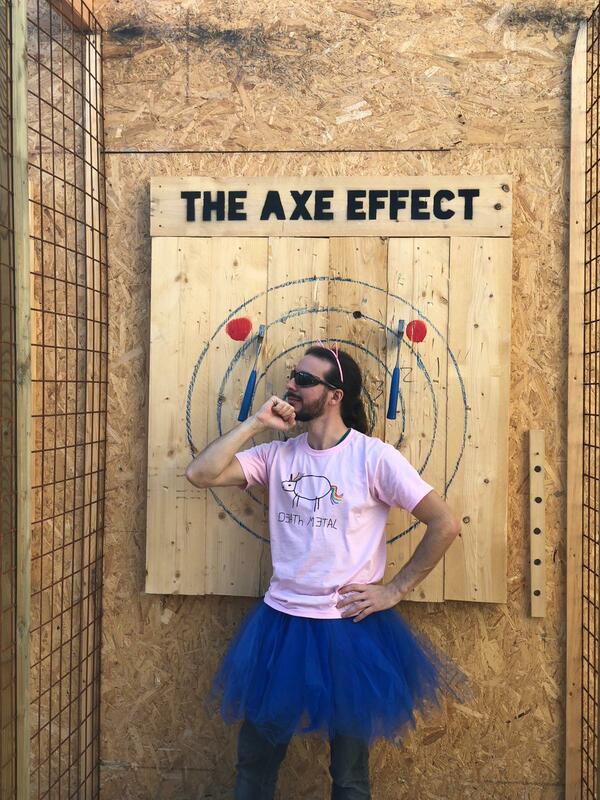 When you stick to the rules and listen carefully to your axe throwing coach, nothing can go wrong. 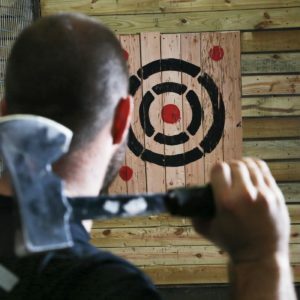 The minimum age for Urban Axe Throwing at The Axe Effect is 18 years old. We will ask for your ID. 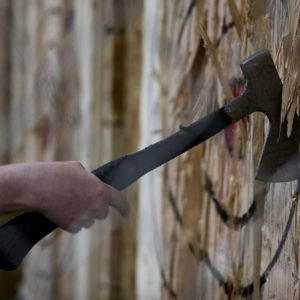 When you want to throw axes, make sure you are not drunk or under the influence of drugs. If you turn out to be under influence, our throwing coaches have the right to deny you access to the lane and you will not get your money back. 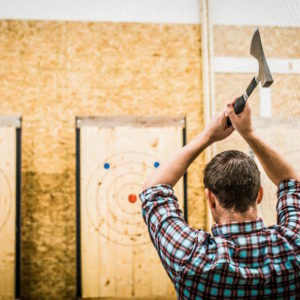 We attach a great deal of importance to our safety and that of our visitors, so keep that alcoholic drink for after the urban axe throwing. WHAT CLOTHES CAN I WEAR BEST? NO FLIP FLOPS, OPEN SHOES OR HIGH HEALS! Open shoes or high heels are not allowed on the court. Small heels are no problem! Wear comfortable clothes and make sure you can move your arms well. So you can hit the Bullseye easily!